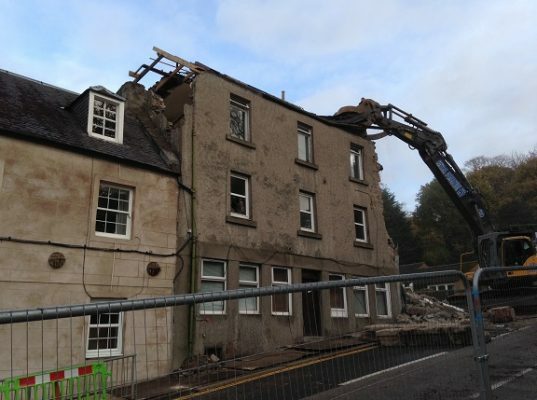 Central Demolition Limited were awarded the contract for the demolition of several social housing properties in Stewarton, Kilmarnock. The site consisted of 17 single storey housing units across 3 terraced blocks and a 2 storey ex-warden’s house linked at archways to 2 of the terraced rows. Some preparatory work was required prior to the demolition, though all asbestos found in the properties had been removed prior to our commencement on site by another contractor. The site was fenced off using secured heras fence anti climb panels. All fence panels were fitted with debris netting to aid dust suppression. A footpath was made available for pedestrian access along Robertland Rigg. This was a safe distance from the demolition works being carried out. 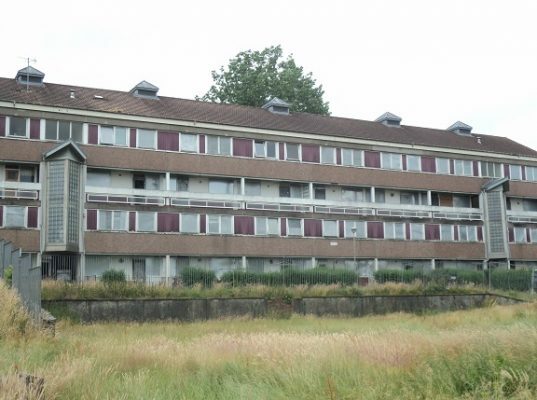 Before the demolition works commenced, we carried out a minor soft strip of all 18 buildings in preparation for the buildings being demolished. All properties were demolished by machine demolition. Property numbers 1-17 Robertland Square were demolished first, with 18 Robertland Rigg being demolished last as it acted as a natural barrier between the public and the site. The foundations of the buildings were “grubbed” up and removed from site upon completion of the demolition of above ground structures. All demolition arisings were transferred from the site and were processed and recycled as far as possible at our recycling facility in Bonnybridge. As part of the works, we cleared the site and capped off of all drainage with Scottish Water in attendance. 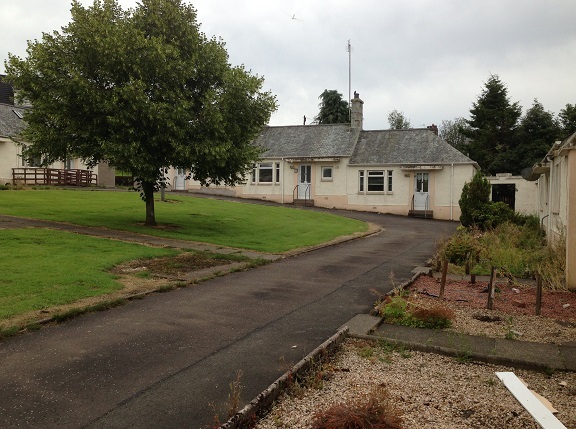 The site was left level and clear of obstructions as per the clients request for future development. Most demolition projects come with challenges, and though relatively small these works were no different. 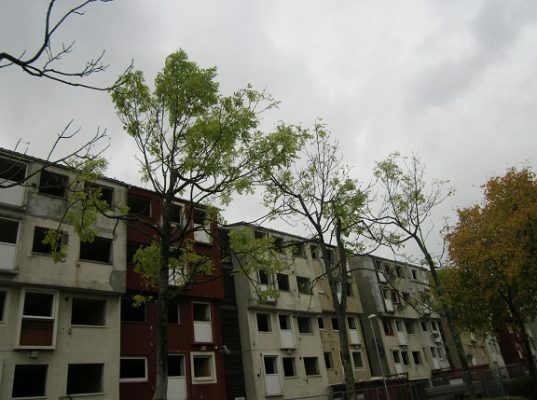 There were residential houses and flats in close proximity to the site, and pedestrian walkways bordering the site. We worked hard to mitigate the impact of our works and to maintain the health and safety of our employees, our clients and the public. Walkways bordering the site were closely monitored, especially where machine demolition was taking place close to the site boundary. 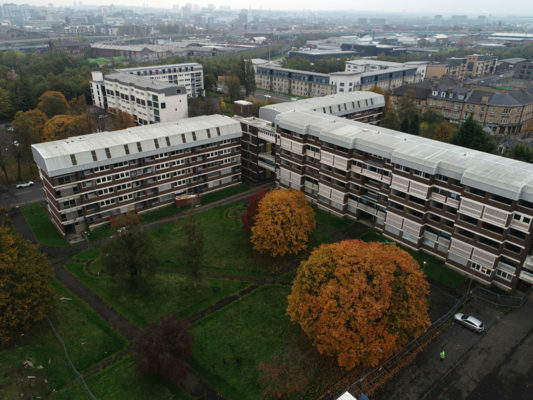 We realise that demolition can cause inconvenience to those neighbouring our sites, and with this site we actively suppressed the dust in order to minimise disruption and undertook all works within social hours. 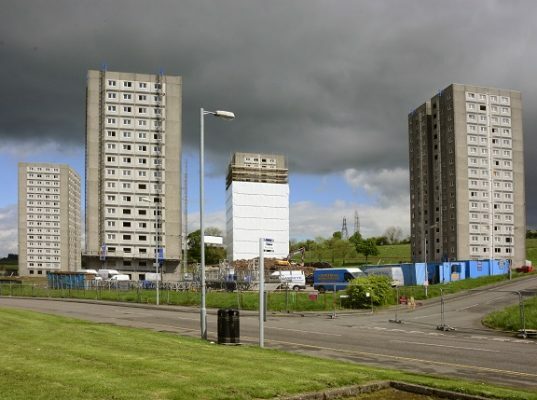 Overall, this project was a great success, and East Ayrshire Council were satisfied with our work. The project was carried out safely, with no incidences occurring, and was completed well within the agreed budget. Even better was that we managed to complete the project 1 week ahead of schedule, without compromising the quality of our work.